This used to happen to me with my accounting work. I’d accidentally run across an article on some obscure topic, and then the next day a client would call wanting to know whether I knew anything about the very same subject. The article would have provided enough bits and pieces to at least sound credible, and then I’d thoroughly research the topic before the client meeting. And then, more often than not, another client would call with the same issue, and on it would go from there. Does that happen in your work? In astrology it happens all the time and it’s happening now with me and the Nodes. Last year I took a workshop on the Lunar Nodes with Steven Forrest, an excellent astrologer. That workshop went right over my head. I understood everything he said at the time, but I had zero retention of the information. And so it lay dormant until I heard from AstroLogos that they were offering their AstroLogos Tutorial on The Nodes, “Two Views of the Astrological Nodes: Humanistic and Medieval.” The time was right. I was in England and assumed that when I came back home I’d begin the series. I finally received the materials earlier this week. I’ve barely dipped my toe into the waters and I’m receiving inquiry after inquiry about the Nodes. On my Astro4Business site I offer a Straight to the Point Response Service where people can ask a specific question and I audio-tape an answer for them within a week. And for each inquiry I’ve looked at this week the answer seems to lie in the Nodes. Just to take a break and keep up with my fellow bloggers I looked in on Donna Cunningham’s blog, Sky Writer. What did I find? An article titled, “Readers Ask: Q&A about the Moon’s Nodes by Donna Van Toen.” Okay, okay, I get the message! The Nodes are not planets; they are points in the sky where two planes intersect. For example, the Moon’s Nodes, which are by far the most commonly explored by astrologers, are the two points where the orbit of the Moon around the Earth intersects the orbit of the Earth around the Sun. Why these points in space carry so much significance is a mystery to me but they have been known and followed since at least 1000 BC. 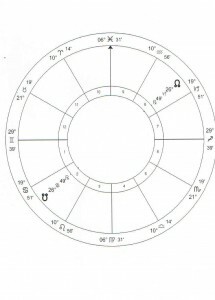 They have been considered important by the Western astrology traditions and the Vedic system. Some astrologers give them primary importance in delineating a horoscope, even more importance than the planets or the Sun or Moon. Apparently there are many different ways to interpret the Nodes and even in the materials I’ve read this week, one astrologer said we “shy away from” our North Node and another said we “run towards” our North Node. So there’s still a lot to uncover here. Is it possible to do both? Or does it depend on other factors in the chart: perhaps more aggressive types go for it, while more reticent types shy away? 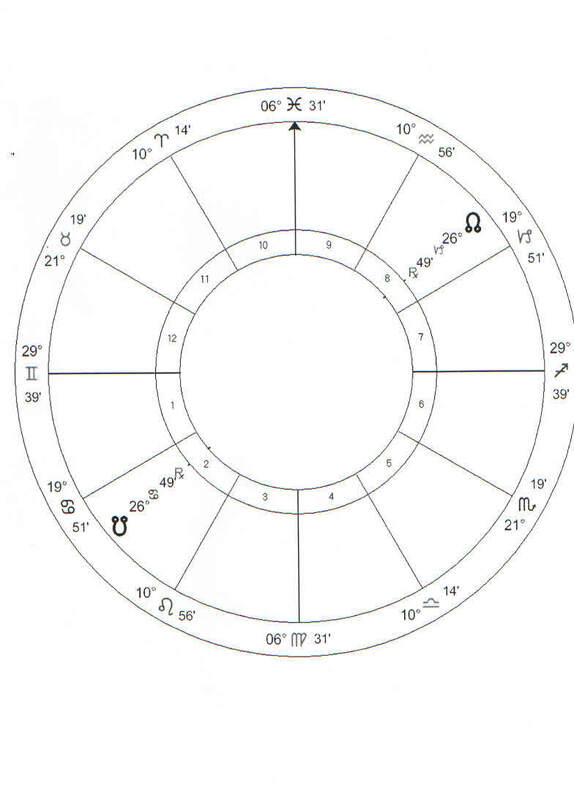 Since there are always two nodes, and they are always exactly opposite each other, they will involve two opposing houses in the horoscope and two opposite signs. There will be an emphasis in the person’s life according to which two houses the Nodes straddle. The issues in this house will probably be out of balance and will need extra attention to balance them. There seems to be a karmic thread that runs through all of the interpretations, in that the South Node is seen as skills or attitudes you have already developed, in the tool box so to speak, and the North Node is an area to develop with effort in this lifetime. When comparing two charts for the purpose of understanding a relationship, the Nodes play a vital role. So that’s about it. A lot more to learn! Where are your Nodes? Do you know how to interpret them? If you understand the Nodes, or can answer any of the questions above, please leave some points in the comments. I can use all the help I can get!